If you remember, in May 2018, Google showed off an augmented reality version of Google Maps during the Google I/O 2018 keynote. The feature was only described as a "what if" experiment and "How [augmented reality] could look in Google Maps"—it wasn't given a firm release date. Over the weekend, The Wall Street Journal got to try a real working version of this concept, and, while there still isn't a release date, it sounds like Augmented Reality Google Maps is moving from "What if?" to an actual product. The Journal was given a Google Pixel 3 XL with an "alpha" version of Google Maps to test. 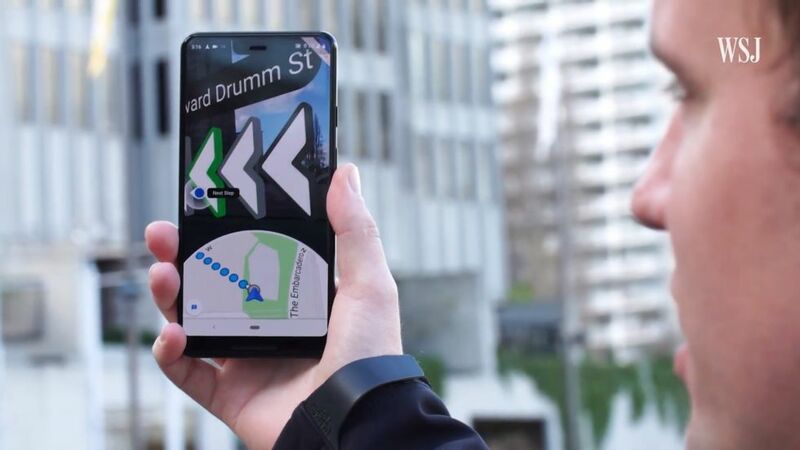 Just like what was shown at Google I/O, the new feature augmented the 2D, GPS-and-compass-powered map system with a 3D, augmented reality camera overlay and a camera-based positioning system. Basically, you hold your phone up, and it displays a camera feed with directions overlaid over it.